GB Railfreight are collaborating with Class 50 Alliance for use of their popular locomotives on upcoming railtours. 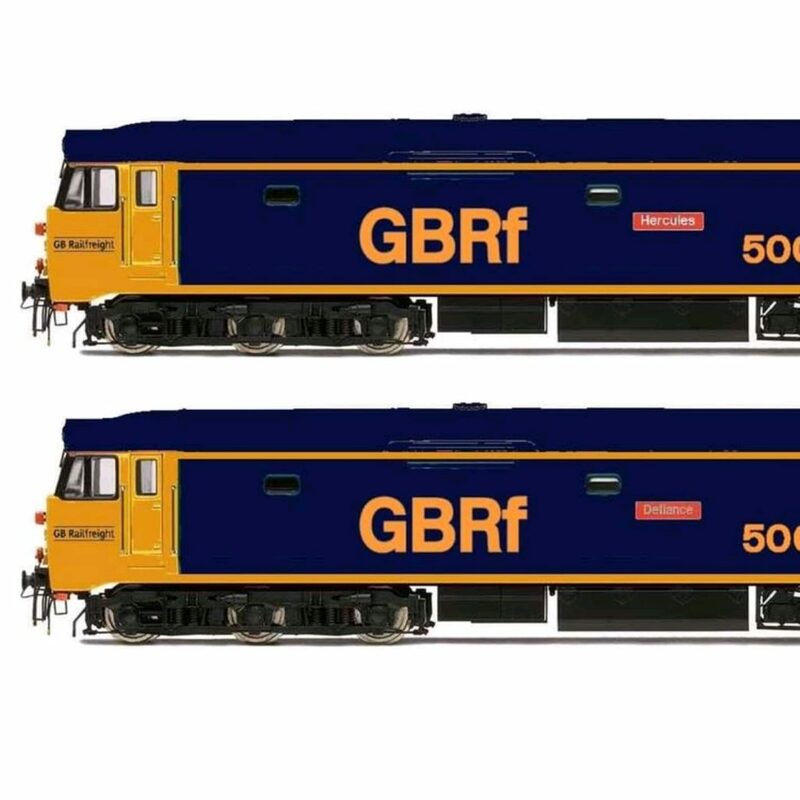 As a result, Class 50 Alliance will be painting two of their locomotives into GB Railfreight livery. The repaint of these locomotives will show the relationship between GBRf and C50A following their recent workings together. Class 50 Alliance’s locomotive 50007 arrived into Eastleigh Works at 1530 today, having worked 0Z20 Kidderminster to Eastleigh Works GBRf. 50049 will likely follow at a later date. Stated in a press release on the GB Railfreight website, locomotives ‘Hurcules’ and ‘Defiance’ will be available for spot-hire work. Because these locomotives are mainline registered, and that they have 24 hour access to the UK rail network via the mainline connection at their home in Kidderminster, they will be used when needed, for convoy of locomotives to and from heritage railway galas. In addition to spot hire work with GBRf, the C50A locomotives will be working upcoming railtour, “The Class 50 Terminator – Phoenixed”. The Class 50 Terminator Phoenixed railtour runs from London Paddington to Penzance, returning to London Waterloo. This tour will see the GBRf liveried historic locomotives stretch their legs, working what was the final British Rail run for the class 50 locomotives, 25 years ago. The Terminator Phoenixed railtour, brought to you by Pathfinder Tours, runs on Saturday 23rd March, departing Paddington at 0700, and returning at London Waterloo at 2315 (timings not final). The collaboration between Class 50 Alliance and GB Railfreight will bring a new lease of life to these historic locomotives, in which fans of the class 50s will no doubt be overjoyed by their new employment.